I hope you had an awesome weekend! The weather here in Oakland, CA has been so amazing. I'm hoping that we can get some more rain, but in the meantime I am sooo loving the sunshine. Daffodils sprouting in my neighbor's garden. Me and my Tieks. The best flats ever- especially since I bike everywhere. Do you have a pair? Back to business...did you hear about Reese Witherspoon's new business?? OMG. I'm in love with it. It's called Draper James and it's a lifestyle brand with an online store. The vibe is Southern charm mixed with a blend of poised sophistication (totes Reese, right?) and will feature local Southern artisans. The products will include bed and bath linens, lingerie, handbags, home goods, fragrance and cosmectics, furnitiure, swimwear, stationary, baby gear and storage containers. Time will tell how successful it will be. My initial thought is that Reese should focus on 1-3 categories, initially, instead of offering every type of product under the sun. But, in any case, I'm really excited for its launch in May and wish her nothing but amazing success! Have a pre-launch strategy. In a world of social media, PR is a must. Her site doesn't officially launch until May, but she is generating buzz now. Create a landing page that collects emails. Her store doesn't launch for another couple of months, but she has a destination site for consumers that may be interested. And it allows consumers to leave their email so she can stay in touch with them. Get as much free marketing as possible. You know I'm all about having a business budget and staying within it! 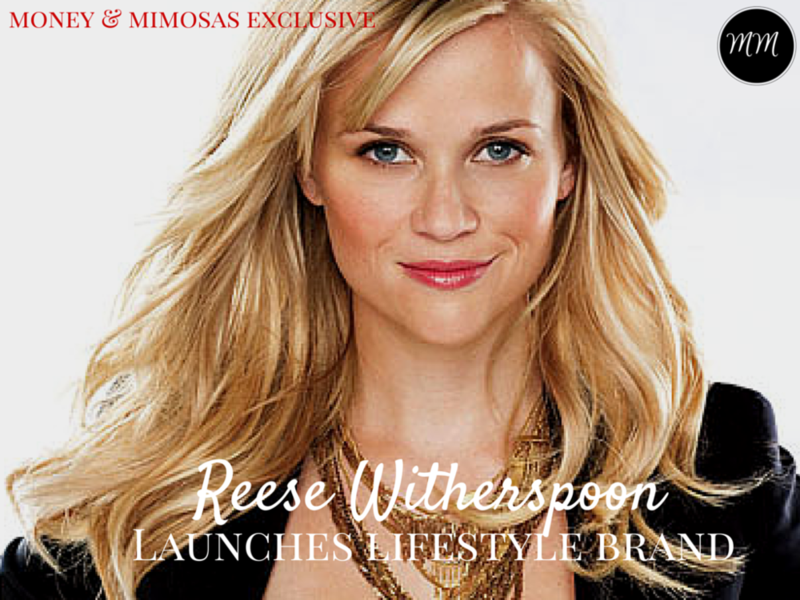 Reese snagged free press for her site inInStyle and Cricket. Now, we aren't all fabulous actresses that can get a story in InStyle, but we all have access to media. In Reese's case, Cricket is a site founded by one of her childhood girlfriends. Reach out to your girlfriends and ask them to spread the word about your new product offering. Do you have a new product offering? Which pre-launch tip will you apply to your business? Danetha Doe is on a mission to help women become financially independent and gorgeously wealthy. Visit her website at www.danethadoe.com and connect with her on Twitter @danethadoe. Click the image to learn more about our accounting and accountability services for fabulous entrepreneurs like you! Older PostJennifer Lopez and do you need an accountant to file your taxes?